I can’t believe 5 years have gone by so fast! Happy birthday to a beautiful 5 year old who lights up my life!! Looks like you are becoming a young lady! High 5 to a 5 year old! Happy birthday princess! Have a great day. Before I could count 1-2-3-4-5 you’re already 5!! Are you having a special quick-growth pill? Haha! Happy birthday my lovely! It’s been 5 years?? Feels like just 5 days! You are the apple of my eye and the bounce in my step! Happy birthday sweetheart!! Every year you teach my something new. I love you my baby. Happy birthday! And I wonder what’s the 5th thing you’re going to teach me! Oh my God!! Are you really five?? That’s a special number! You’d better ask mom and dad for 5 special gifts this year!! Happy birthday! Do you remember the day you took your first step? No? Well, I do! Feels like just yesterday!! Happy 5th birthday darling. Being 5 calls for a celebration! So pull out the cake and balloons because it’s time for a party! Happy 5th birthday. There are going to be 5 candles on your cake today. Are you excited? Make 5 wishes and may they all come true. Happy birthday! Today is your day. Go crazy, skip school, eat lot of sweets, jump on your bed and play with your friends. Happy 5th birthday!! Have a ball and enjoy the moment. You’ve turned 5. I’m so excited and I’m sure you are too. May all your dreams come true. Happy birthday! Roses are red, violets are blue. I was once 5, and now you are too. I hope you have the most fun 5th birthday ever! Happy birthday. I swear I saw the angels in heaven smiling today. We all know why. It’s because it’s your day. Happy 5th birthday and here’s wishing you all the joy. Today, on your 5th birthday, I wish 5 things for you – happiness, success, joy, love and strength. Happy 5th birthday! Have a wonderful day. Wow! I can’t believe you’re five already! Always stay the same caring, happy, innocent and lovely person that you are! Happy birthday my little angel! Cheers. You’re the kind of girl that the world stops to admire and stare. You’re a rockstar, so keep rocking. I hope you have an amazing 5th birthday. Happy birthday. From the moment you were born, I knew you were special. Today, on your 5th birthday I feel you are more special and beautiful than ever. Happy birthday! Happy birthday to you, always stay true, remember we all love you, happy birthday to you! I’m sending 5 hugs and 5 kisses especially for you! Have all the fun you can, and do all the things you wished to, because today you turn 5. Don’t forget to eat lots of cake! Happy birthday. Some of the most beautiful flowers have 5 petals. 5 is a beautiful number. Enjoy your 5th birthday. Loads of love from me to you. Happy birthday! 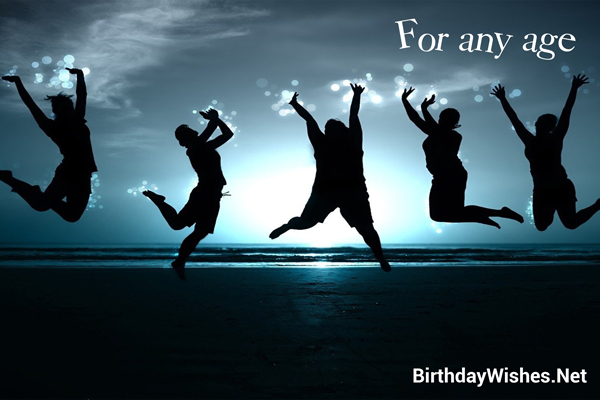 Check out this amazing collection of 5th birthday wishes, the 5th birthday wishes on this page incorporate the messages from these article, but feel free to add your own.